Are you in New York and want to get a glimpse of some of the oldest architecture in downtown Manhattan? 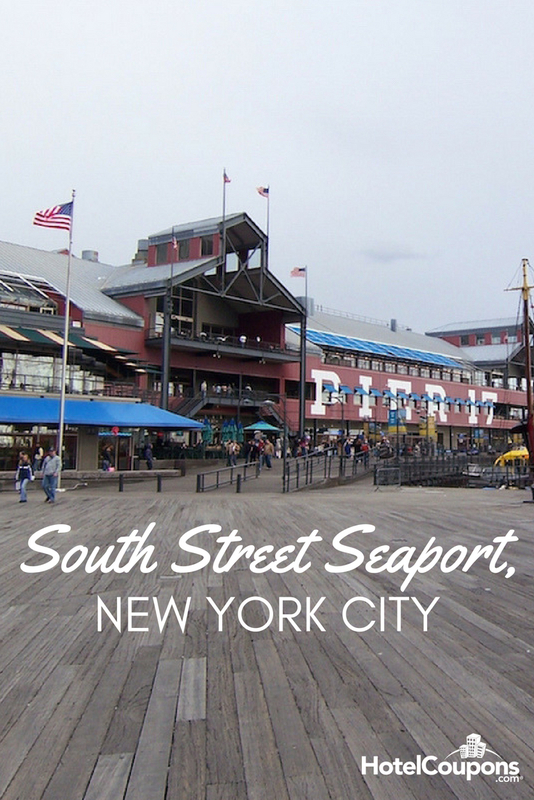 Take a stroll down South Street Seaport, located on the East River, near the Financial District in New York City. It is a unique and historic area that offers shopping, entertainment, and fun for tourists and residents alike. Recent years have seen a slow, but complete, revitalization of the Seaport, which suffered damage from Hurricane Sandy in 2012. However, this summer ushered in a new era for the beloved district. There are a number of both revamped and new establishments to enjoy. 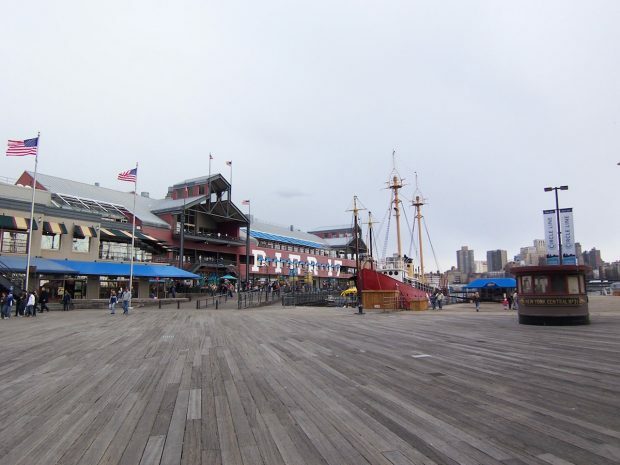 Get to know the history at the South Street Seaport Museum, which boasts 30,000 square feet and includes exhibition galleries, a print shop, a craft center, and the country’s largest fleet of historic ships. 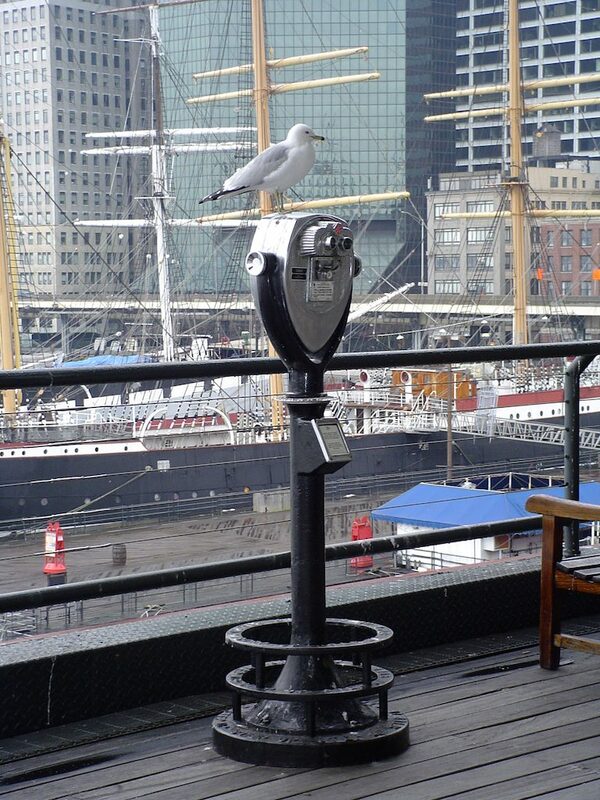 The newly-opened Pier 17 is the Seaport’s place to see and be seen. A ground floor bar, River Lounge, is the perfect spot to grab a drink, while the Heineken Riverdeck boasts beautiful views and cold beer. Several eateries are set to open in the coming months, including restaurants from Jean-Georges, David Chang, and Andrew Carmellini. The pièce de résistance, however, is Pier 17’s rooftop, which offers stunning views of the Statue of Liberty, Governors Island, and the Empire State Building, and also hosts entertainment from popular acts like Amy Schumer and Kings of Leon. Want to shop ’til you drop? A mall opens this summer at Pier 17, but in the meantime, you can find one-of-a-kind, handcrafted goods at smaller boutiques like Northern Grande Marketplace, Lee Lee’s Forest, and South Street Local Artists. This is what the weekend is all about! Join us Saturday and Sunday for Brunch at The Paris Cafe! Call (212) 240-9797 to make your reservation! With all of that shopping and entertainment, you’re sure to work up an appetite. Fortunately, some dining options will satisfy just about anyone. There’s the brand new quick-service Market Hall, which sits on the water and boasts a menu of items from Executive Chef David Kornell. Looking for a sit-down meal? Head to Barbalu, Fresh Salt, Industry Kitchen, or MarkJoseph’s Steakhouse. Don’t forget to grab a drink and soak up the New York City energy of The Paris Cafe, which has been around since 1873!